He’s the Hollywood heavyweight known for his roles in front of the camera. 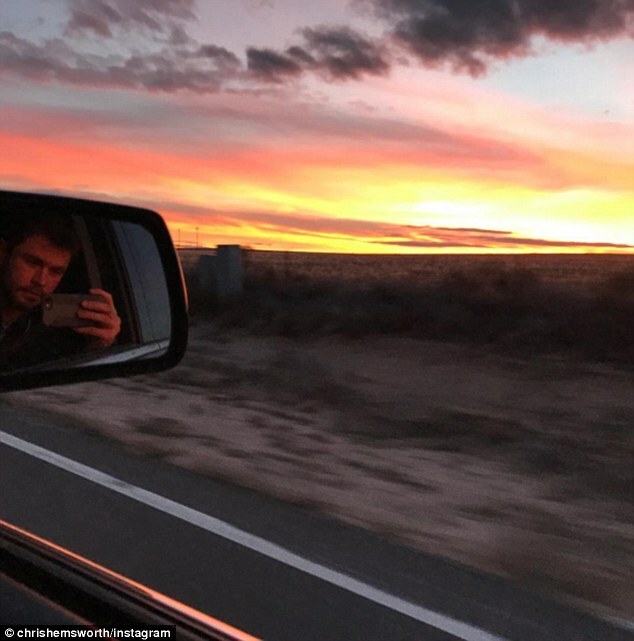 But on Monday, Chris Hemsworth went behind the lens, snapping a spectacular sunset and sharing it to his Instagram page. The Australian-born actor, who is co-starring in a new film with wife Elsa Pataky, can be seen in the rear view mirror as he takes the photograph out the window of a car. 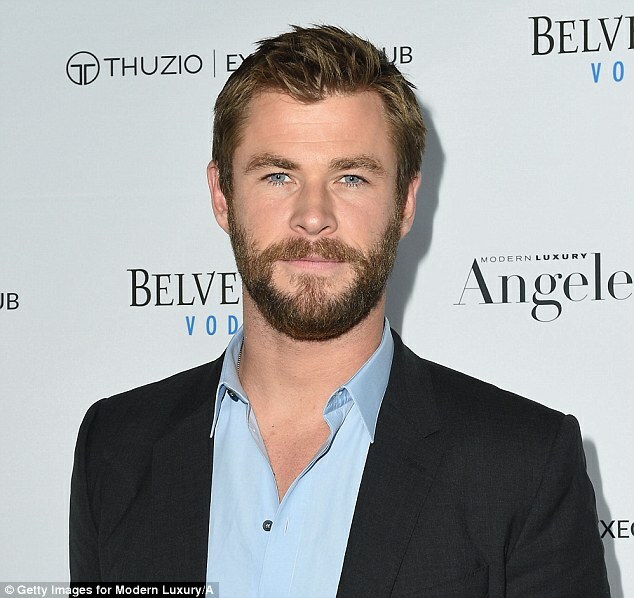 The exact location in which 33-year-old Chris took the picture is unclear, but the Thor star has just commenced filming Horse Soldiers, a movie based on a true story of U.S. Special Forces in Afghanistan. The movie is being shot in New Mexico, which may explain the desert vista in Chris’ picture. 'Just being#superartistic and stuff,’ Chris wrote as a caption, perhaps hinting at a future career as a director behind the camera. After he shared the image with his 7.9 million Instagram followers, Chris' photography skills drew praise from fans. Others, however, were more interested in the man behind the photograph. ‘Yeah I mean that face is a astounding piece of art if I say so myself,’ wrote one admirer. While Chris is riding shotgun in the passenger seat, the picture caused confusion for some fans who live in Australia and the U.K., where the driver’s seat is on the right hand side of a car. 'You’re not driving while clicking I hope,’ wrote one. ‘I hope you are NOT using your phone while driving @chrishemsworth you naughty boy,’ commented another. The older-brother of Liam Hemsworth is clearly making the most of working on the new film, where he cuddled up to his wife on the set last week. 'Day 2 on the set of Horse Soldiers and found myself in bed with @elsapatakyconfidential. Usually work means she's gets a break from me, not today honey,' the star wrote. The couple, who celebrate six years of marriage this month, have three children, daughter India Rose and twin sons Sasha and Tristan.